I have always found this to be one of the more peculiar 911 models. 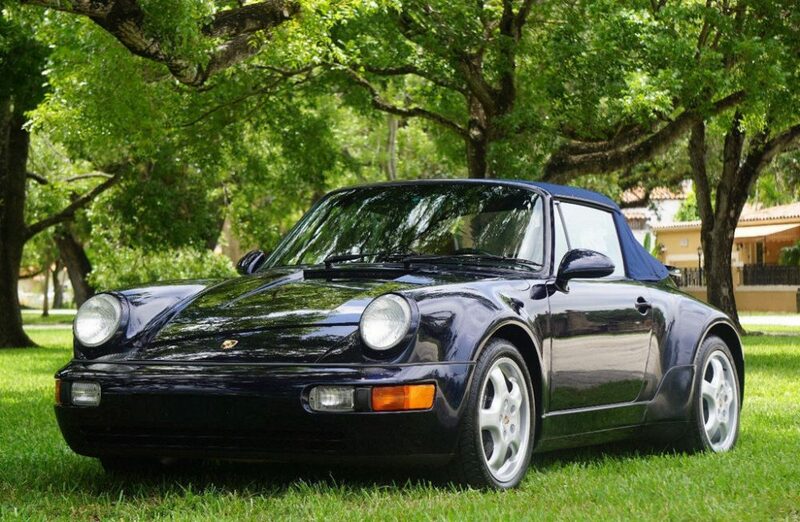 This is a Midnight Blue Metallic 1992 Porsche 911 America Roadster, located in Miami, with a Tan/Black leather interior and 73,368 miles on it. These are pretty rare – only 250 were produced – and this one looks in very nice shape. The price is pretty high, but given their rarity these do tend to have a high price attached. So why do I find them peculiar? Well, maybe because I don’t really know why the model exists. Were buyers clamoring for a wide body Cabriolet? Was the 911 Speedster based off the 3.2 Carrera so successful that Porsche felt they needed to produce something similar for the 964 as well? I don’t know, though the Speedster would return in 1994 after America Roadster production ceased so perhaps there was some desire for one. Regardless, these are pretty neat even if I’m not quite sure about their appeal. The idea was to build a more driver-focused Cabriolet in the spirit of the 356 Roadster, which had replaced the 356 Speedster. As the Roadster moniker suggests, the rear seats have been removed. The rear is wider and the America Roadster received the brakes and suspension from the Turbo. 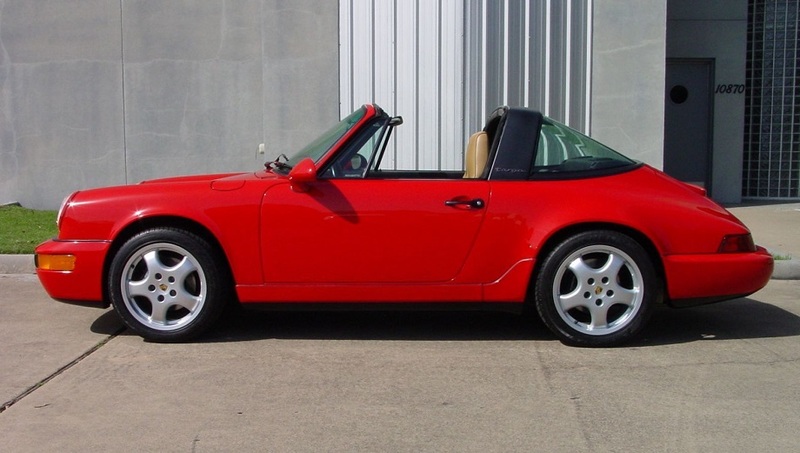 It’s basically a Turbo-look Cabriolet and given that the 964 Turbo only came in Coupe form the America Roadster was your only shot at getting a Cabriolet with the wider rear. 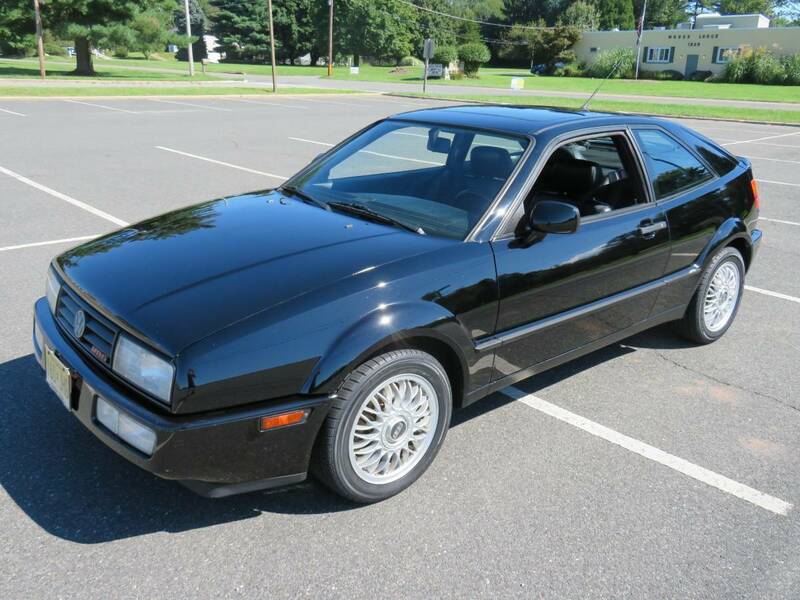 In yesterday’s Corrado SLC post, I referenced both how Volkswagen’s coupe was another attempt to create the “poor man’s Porsche”. Of course, at the same time that VW was perfecting its craft with arguably the best of their front-drive creations in the Corrado with the VR6 in the nose, Porsche wasn’t exactly napping at the wheel. They, too, had perfected their own pauper Porsche. The problem was, of course, that not many paupers could afford it. 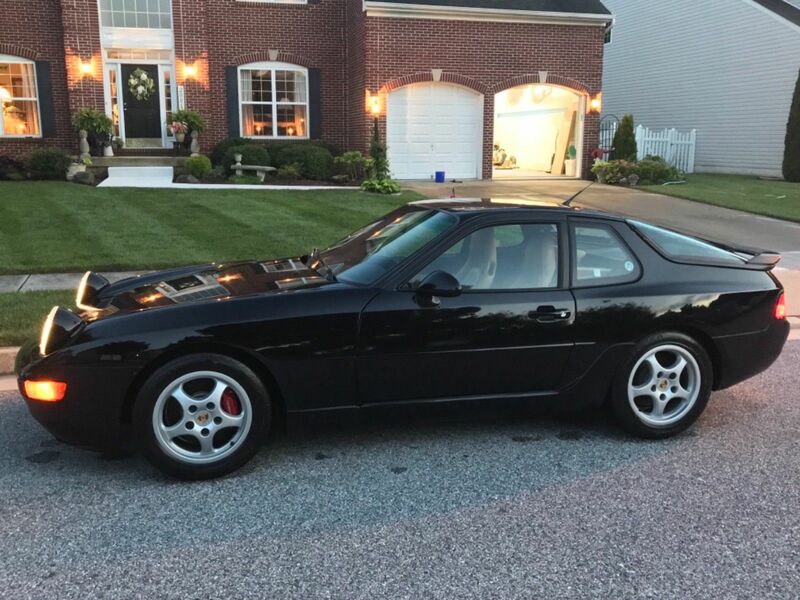 The 968 stormed out of the gates and straight into the early 1990s recession wielding 236 horsepower from its VarioCam-equipped development of the 3.0 inline-4 from the 944S2. Evolutionary bodywork linked the model more closely with both the 928S4/GT and the 911 range. But with more power on tap than the standard 944 Turbo had in the mid-eighties, the base price was pretty much out of reach for most mortals. In 1992, the MSRP was $39,950 for a stripper Coupe. If you wanted the Cabriolet, you’d pay more than $10,000 additional. And if you opted for a Tiptronic transmission you’d be at $55,000. In 1992, mind you! That’s over $100,000 in today’s buying power and nearly double what a base 718 Boxster stickers for today. Even the basic Coupe in 1992 was double the sticker price of the 968 hardtop. Last week I looked at a really cool 1993 Mercedes-Benz 600SLÂ that took the early R129 styling cues and freshened them up a little bit thanks to some different wheels, tail lights and a little bit of paint. 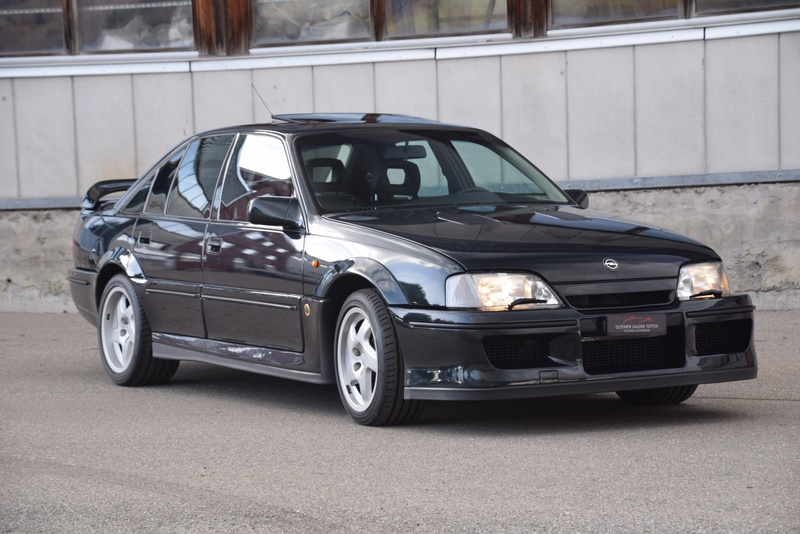 The price was more than reasonable for all you were getting and I think that you would probably do just fine when it came to keeping the value on that car.Â Today, I wanted to look at another early R129 that is nearly stock just to compare it when it comes to styling. 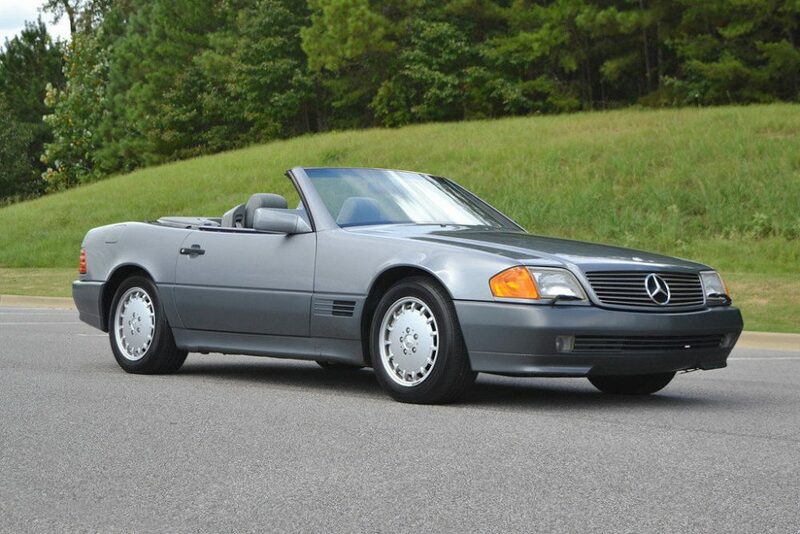 This 1992 500SL up for sale in Alabama is painted in the classic Pearl Gray with dark gray lower cladding that is just a wonderful example of what these early R129s are. Nothing is aggressive or flashy, just a perfectly crafted Mercedes roadster that is built to pass the test of time. The best part about it? You can grab this one for under $10,000. Update 11/26/18: This Tahoe Blue Metallic 964 Turbo has dropped from the original $200,000 ask in September to $170,000 today. 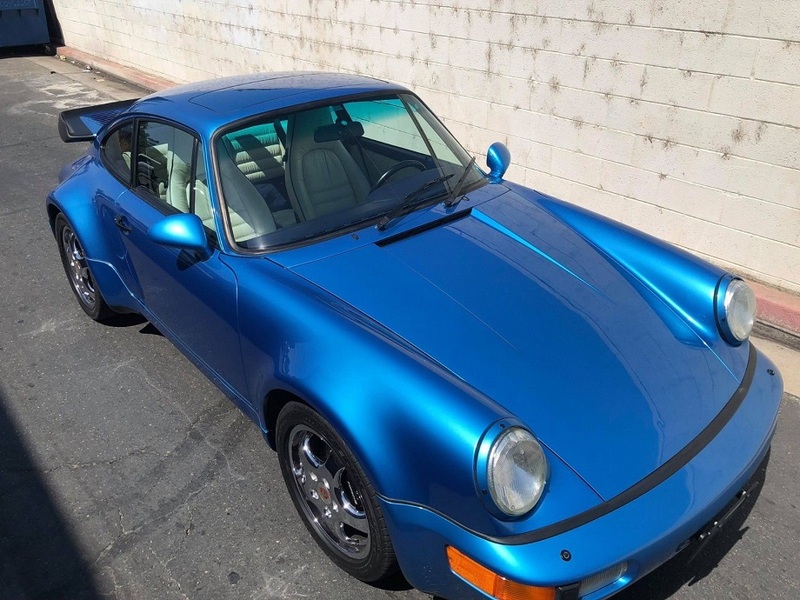 I’m going to have a lot of questions about this 1992 Porsche 911 Turbo, but I’ll start with the one that struck me immediately and isn’t necessarily related to this particular Turbo. Are we now at a point where the 3.3-liter 964 Turbo is a $200K car? Assuming we’re not talking about some ultra-rare sub-5K mile example, of course. I’m really not sure we’re there yet, but this one seems set on trying to get us there. 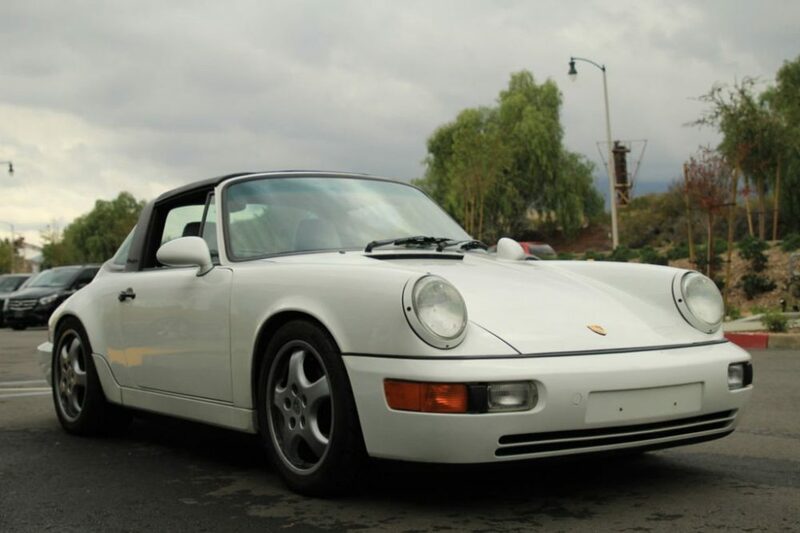 I will say, I have been seeing a lot more high prices among 964s in general so I’m beginning to wonder if that market is shifting upward for some reason. I have in many cases offered these Turbos as a relatively inexpensive alternative to the collector-sought 1989 930, but if prices are moving up then that idea may no longer work. As for this one: it’s certainly a very good looking example and appears to be in very good condition. I think the exterior is Tahoe Blue Metallic, a relatively uncommon blue that Porsche offered in the early ’90s. We’ve seen it before, but not quite with this contrast in the interior. It’s certainly a rare example, but enough so to command this sort of price? 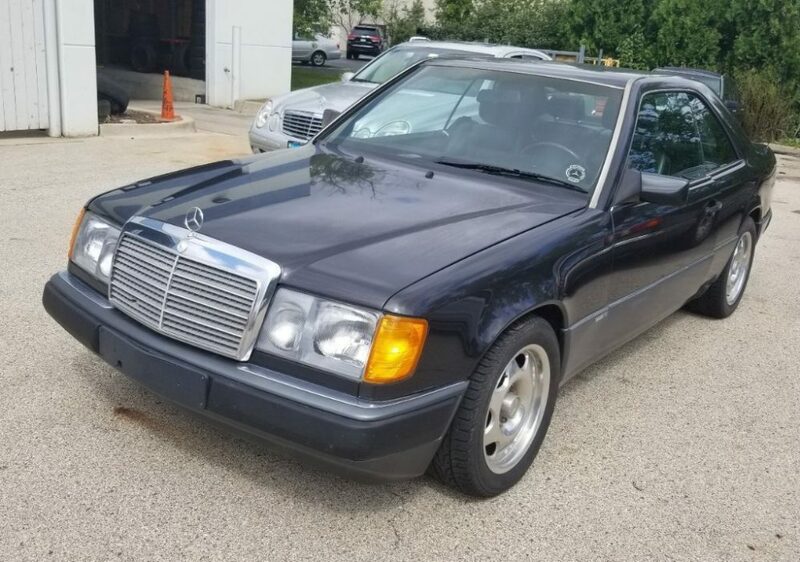 Last week I went back-to-back with Mercedes-Benz V8 W124s with a high-mileage 500E and a 400E that ended up selling to one of our readers. I thought the 400E was a hell of a buy for the price it went for and probably one of the better deals I’ve seen in a while. 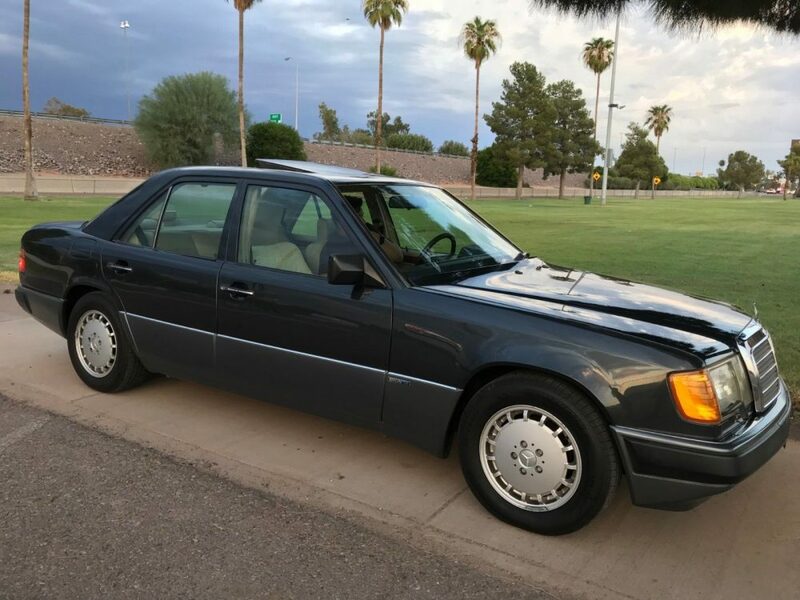 Today, I figured I would round out the W124 sedan lineup with a 1992 300E. As you might have noticed by the title, this isn’t a standard 300E but rather the 300E Sportline. I’ve gone over what makes the Sportline special about a year ago, but the short of it is a bunch of suspension and steering changes along with a few interior bits to make this car feel, well, sporty. Sadly, no engine changes from the standard 3.0 liter M103, but you take what you can get when it comes to special editions and Mercedes-Benz. This example up for bid in Phoenix isn’t the most pristine Sportline I’ve come across, but it is rare enough to re-visit. As for the price, I think this one can be had for very little money.